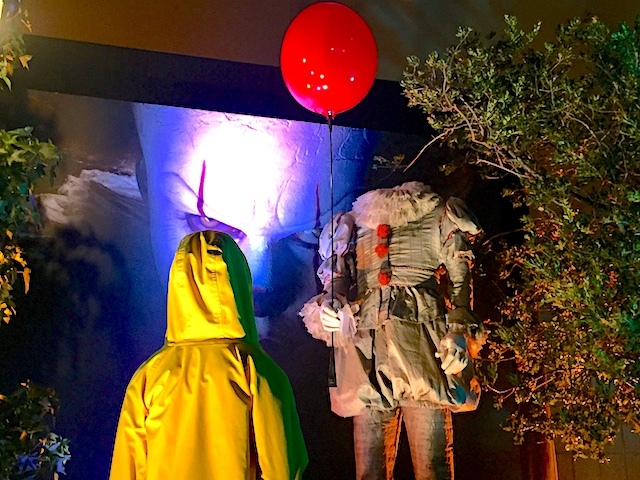 July 29, 2018, 8:51 PM · The third Midsummer Scream convention kicked off the Halloween season in Southern California this weekend, as thousands of black-clad fans gathered to get a sneak peek at what's coming to theme parks and haunts in the region (and beyond) this fall. The two-day event at the Long Beach Convention Center started with the park that started theme park Halloween events: Knott's Scary Farm. Knott's Berry Farm's annual Halloween event returns September 20 for its 46th season. This year's event will feature more shows and live entertainment, Producer Ken Park told the crowd during Knott's panel. Among the new additions to the event will be "Awaken the Dead," a dance party in Fiesta Village, and "Forsaken Lake," a scare zone underneath Silver Bullet. Knott's production team teased that the scare zone will include interactive moments, along the lines of the park's Ghost Town Alive! production from the past two summers. In addition, the scare zone will feature regular funeral processions, inspired by New Orleans jazz funerals but with a "Victorian gothic" feel. Knott's also will be giving its new roller coaster, HangTime, a fresh nighttime lighting program for Scary Farm. On the show floor, Six Flags Magic Mountain is hosting a scare zone in the Hall of Shadows entertainment area. And the Warner Bros. 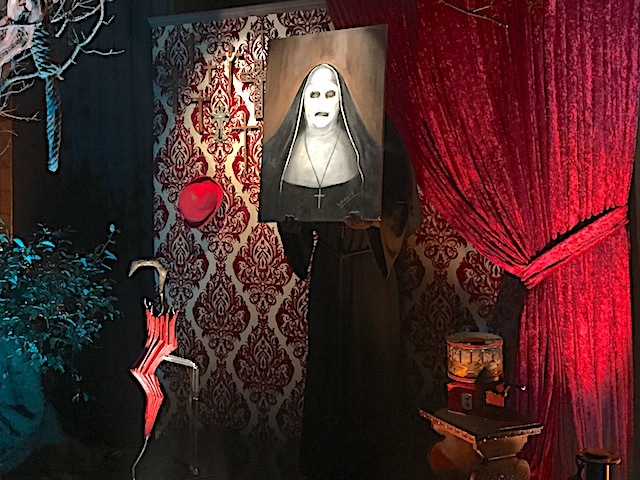 Studio Tour Hollywood brought props and original costumes from It and The Conjuring 2 to promote its "Horror Made Here" event that starts October 5, running 13 select nights during the month. On Sunday, John Murdy and Chris Williams from Universal Studios Hollywood and Michael Aiello from Universal Orlando shared the Grand Ballroom stage for the first Hollywood/Orlando Halloween Horror Nights presentation. Murdy started by answering the most pressing question about the two events: "Why does Orlando call them houses while Hollywood calls them mazes?" "The honest answer is we have no idea," Murdy said. The designers spent most of the time talking about the process of developing concepts into the houses/mazes that make HHN such popular events. Murdy said that he and Aiello had been trying to get Trick 'r Treat in the event since 2008, for example, showing how long they can pursue IP for the event. The two mazes for Trick 'r Treat this year will differ in Hollywood and Orlando, the two revealed, with Emma and Henry's house as the facade in Hollywood and Kreeg's house in Orlando. (That will be the finale in Hollywood). Then Murdy let sip that Hollywood will be doing a Trick 'r Treat scarezone, too. The team then tackled Stranger Things, which is appearing on both coasts. The mazes/houses will focus on Season 1 - "There was so much content in that season alone," Murdy said. Murdy said that Universal will use a combination of projections and cotton-tipped fiber optics to create the "particle" effect of The Upside Down, coupled with backgrounds provided by the studio. "It's a combination of all these different layers," Murdy said. Other scenes will include the shed and the Byers' house (and the alphabet hall), as well the sensory depravation tank in the Hawkins lab. At the end of the weekend, Creative Director Rick West announced that Midsummer Scream will return to the Long Beach Convention Center next year on August 3-4. How hard is it to travel the world?